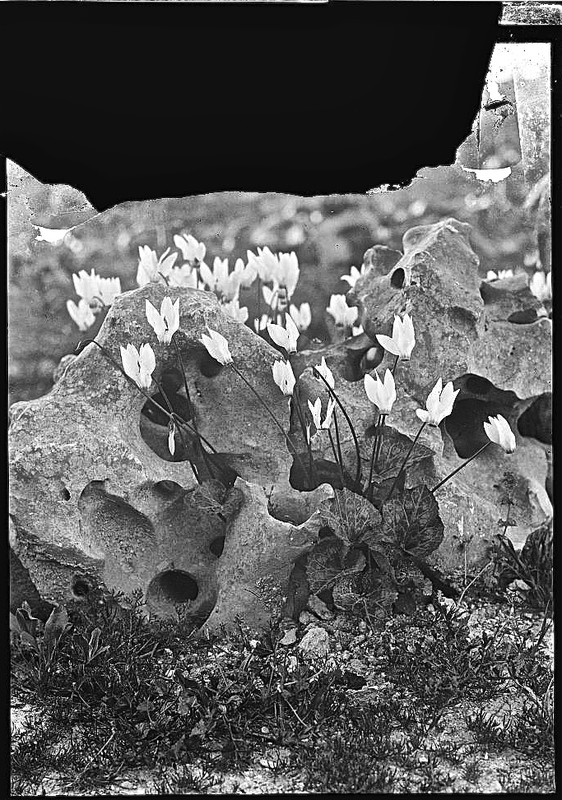 While looking through the online catalogue of the Library of Congress for photos of gardens and landscapes, I keep coming across pictures by the American Colony of Jerusalem. 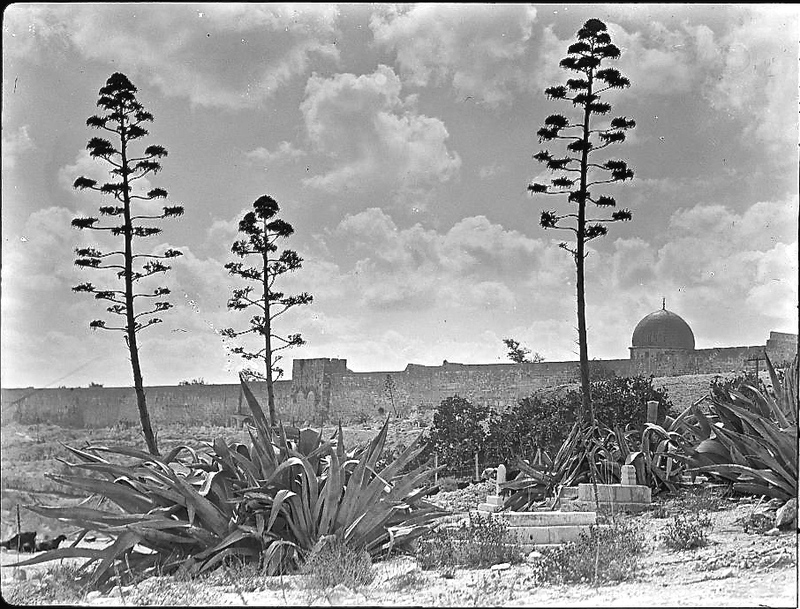 Golden Gate and east wall of Jerusalem seen through group of century plants [agave], c. 1900-1920, by the American Colony, via Library of Congress. The American Colony was a Christian utopian society established in Jerusalem in 1881 by Americans Anna and Horatio Spafford. Its whole story is very interesting, but long, so you can read about it here and here and here. 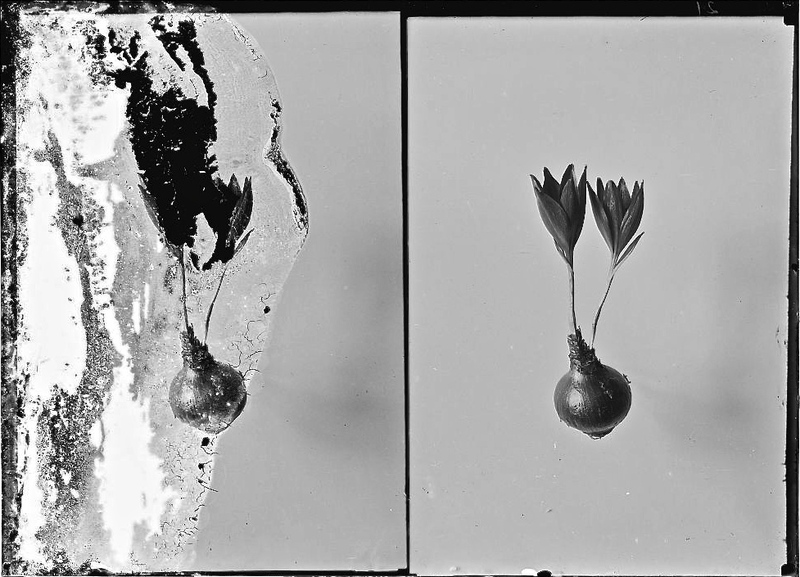 Around 1898, a member of the colony, Elijah Meyers, began photographing places and events around the region and eventually formed a photography service that earned income for the group. He was later joined in the endeavor by Lewis Larsson and G. Eric Matson, among others. When the colony dissolved in the early 1930s, Matson and his wife took over the studio and its archives and renamed it the Matson Photo Service. Wild flowers of Palestine. 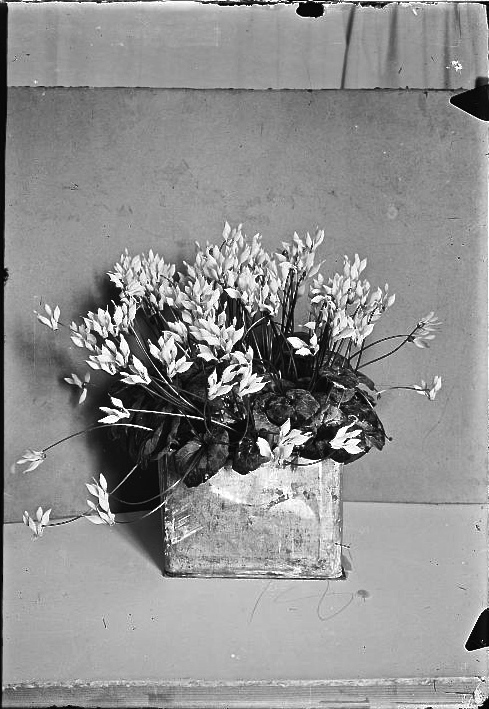 Flowers, c. 1898-1946. Matson moved to California in 1946. 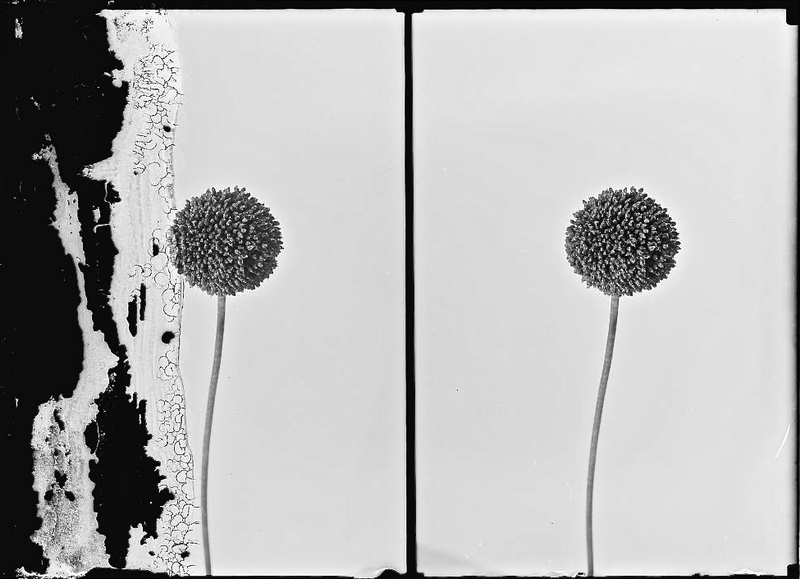 He began donating negatives and contact sheets to the Library of Congress in the 1960s. 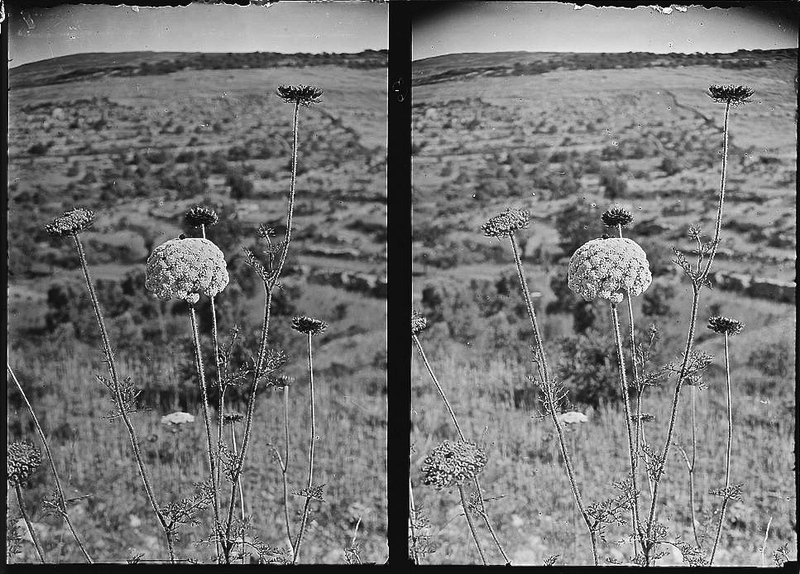 Among the over 20,000 images in the Matson Collection are about 200 photos of “wild flowers of Palestine.” In 1907, the Colony had published The Plants of the Bible and, in 1912, The Jerusalem Catalogue of Palestine Plants. The group also sold photographs and stereographs from its Jerusalem store and contributed pictures to National Geographic articles. 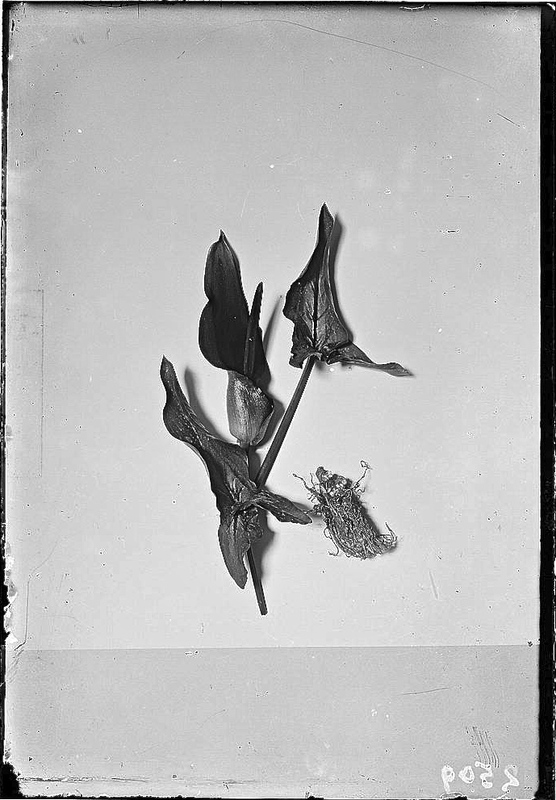 Wood-mallow (Malva sylvestris L.), c. 1900-1920. The photos that I’ve chosen are best seen in a larger size, so please click on the first thumbnail below to scroll though them. The plant names come from the images’ original labels. Wild flowers of Palestine. 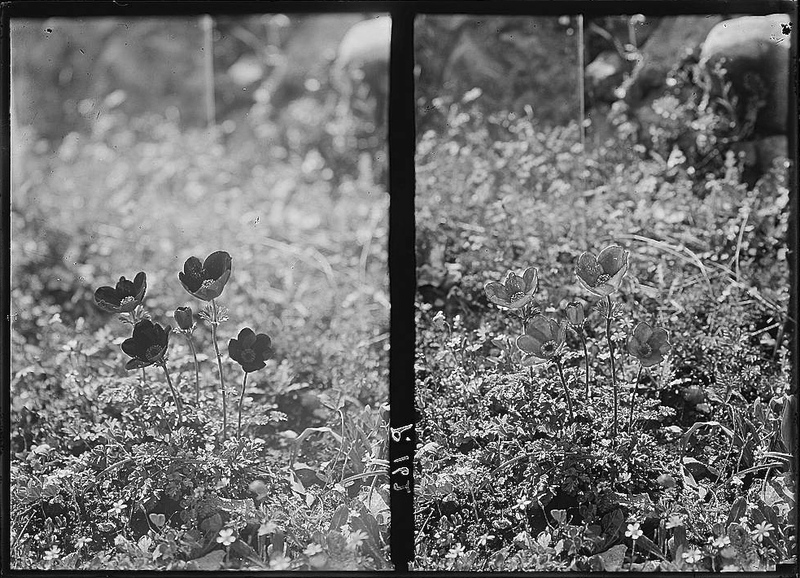 Wood-mallow (Malva sylvestris L.), 1900-1920 by the American Colony, via Library of Congress. Agriculture, etc. Various shades of anemones. Colours ranging from snow white to all shades of pink, dark purple and blue, c. 1930-1933. 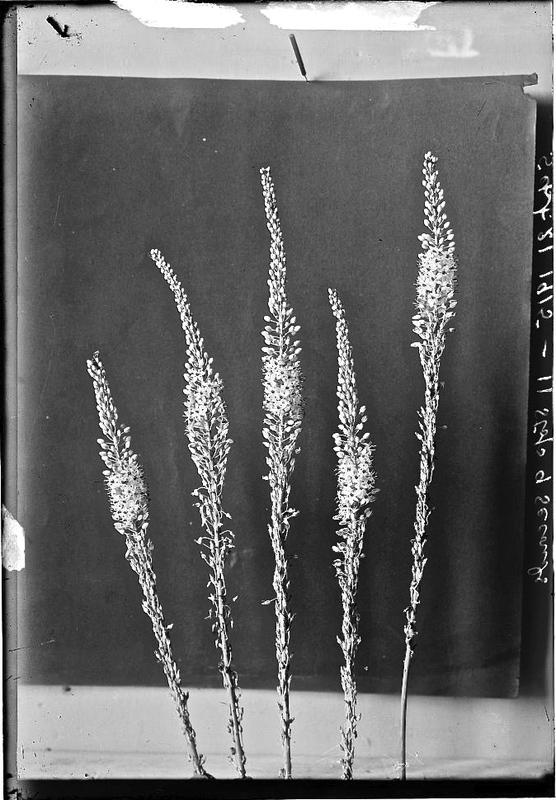 Flowers [Maritime squill — Urginea maritima Baker), September 21, 1915. Flowers [wild pink onion — Allium trichocoleim Bonm. ), c. 1898-1946. 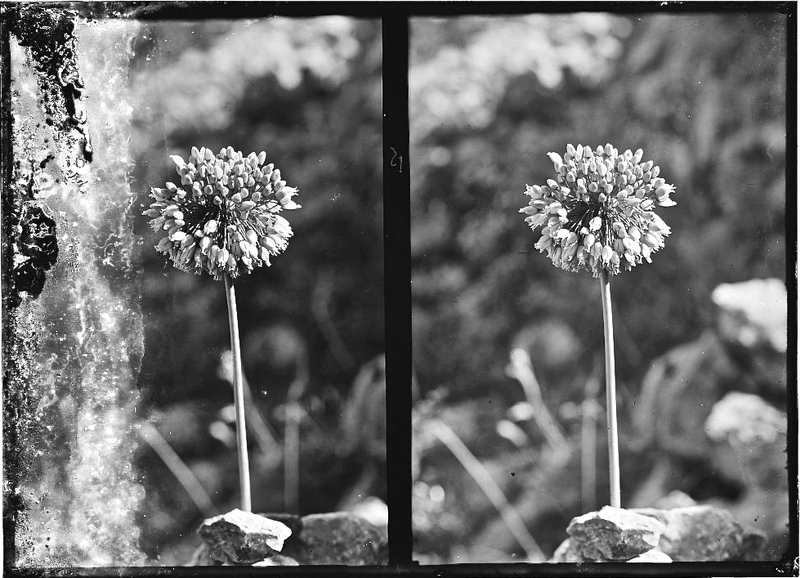 Flowers [wild garlic — Allium ampeloprasum L.], c. 1898-1946. 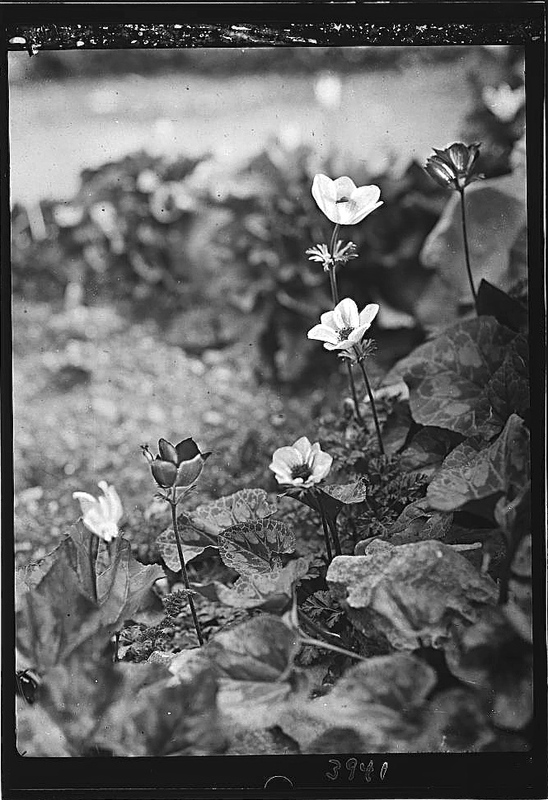 (Taken in their natural setting) “Lily of the field.” (Anemone — Anemone coronaria L.), c. 1898-1946. 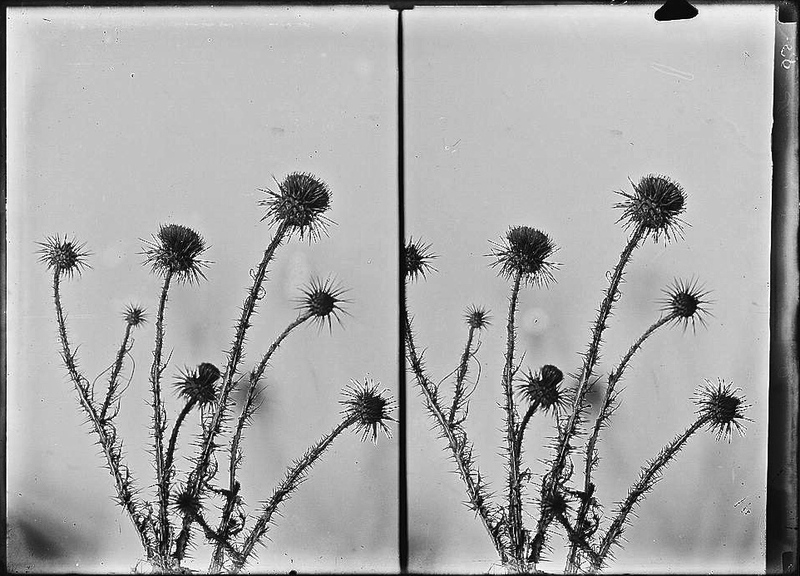 Onopordon (cotton-thistle) (O. heteraconthum), c. 1900-1920. Great carrot (Daucus maximus Desf. ), c. 1900-1920. 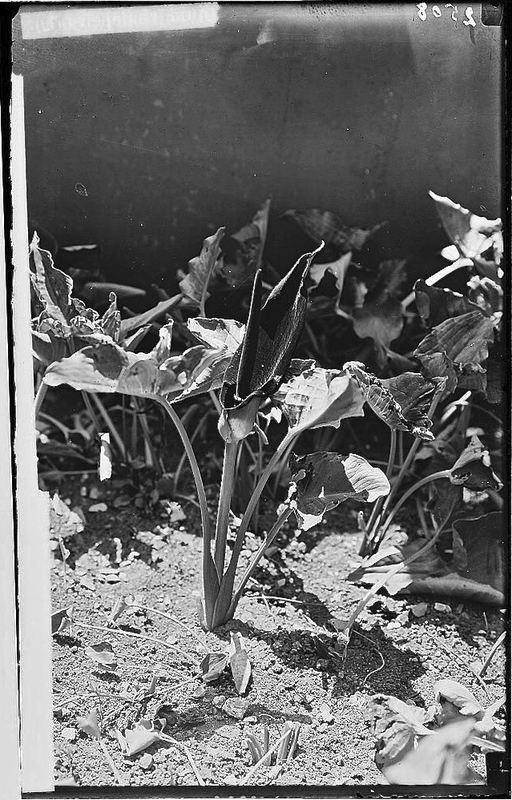 Palestine arum (Arum palaestinum Boiss), c. 1900-1920. 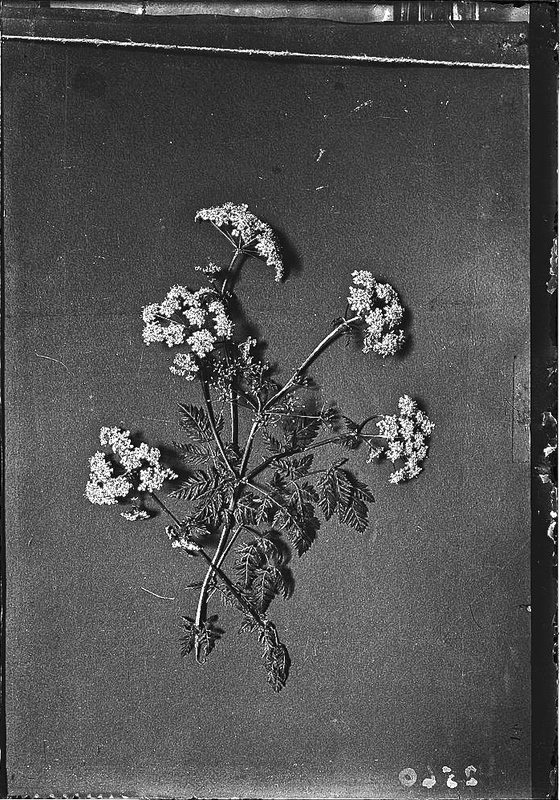 Poison hemlock (Conium maculatum L.), c. 1900-1920. 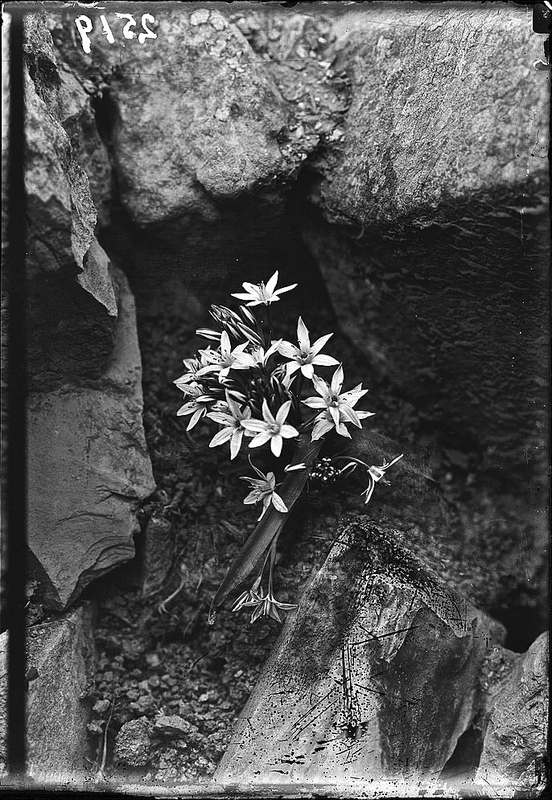 Bethlehem-star (Ornithogalum fimbriatum Wild), c. 1900-1920. Golden Gate and east wall seen through group of century plants [agave], c. 1900-1920. Previous Post Remember the pomegranates? Thank you for bringing these historical photos to light. Looking at them raises all kinds of questions. Surely they aren’t all native to the region. I suspect the reason that many of the plants photographed by the Colony are so common in the U.S. is because of the popularity of books about making gardens with plants from the bible. Many thanks for linking folks to my article on the American Colony and their photographic work. They were a fascinating bunch indeed. 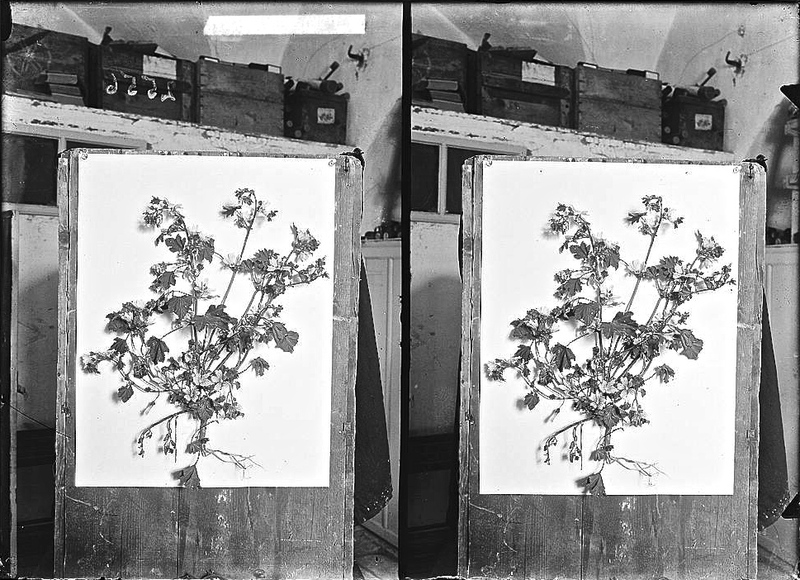 Among the various items that Colony members produced for the tourist/pilgrim trade, and sold through the American Colony Store inside Jaffa Gate, were many incorporating pressed wildflowers and other plants, often with a biblical tie-in.